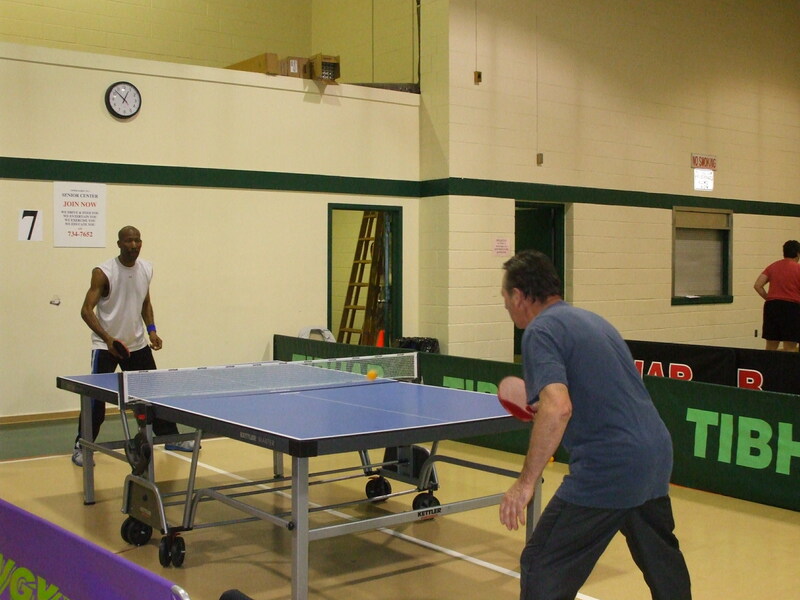 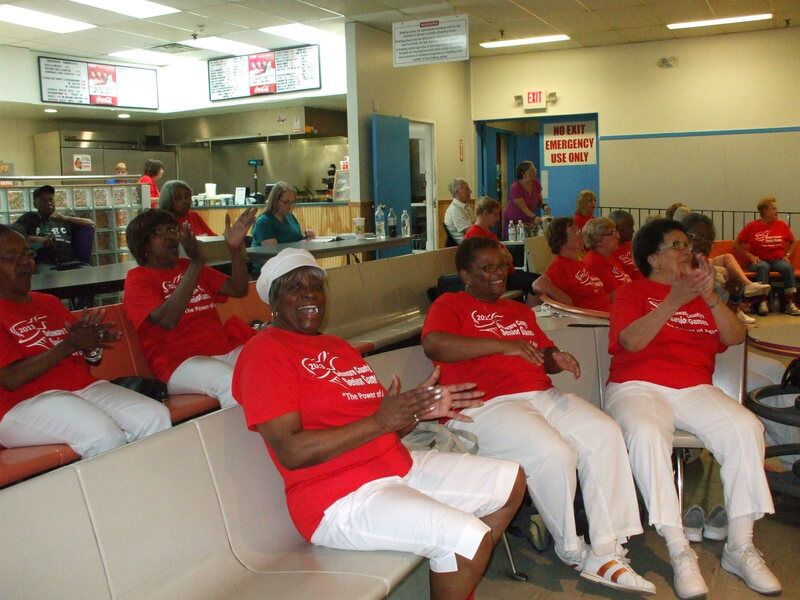 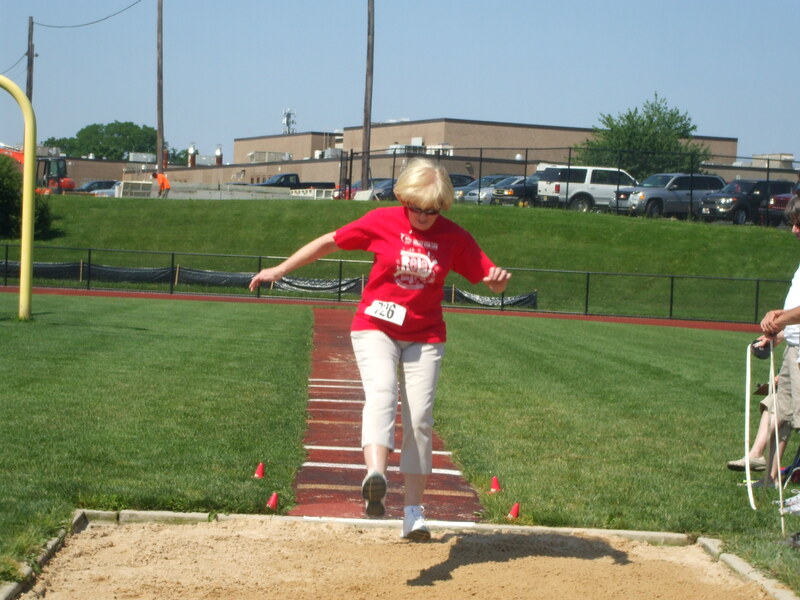 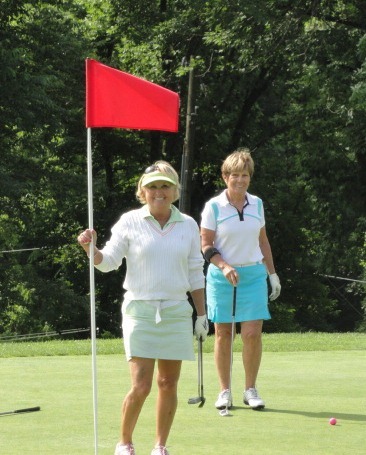 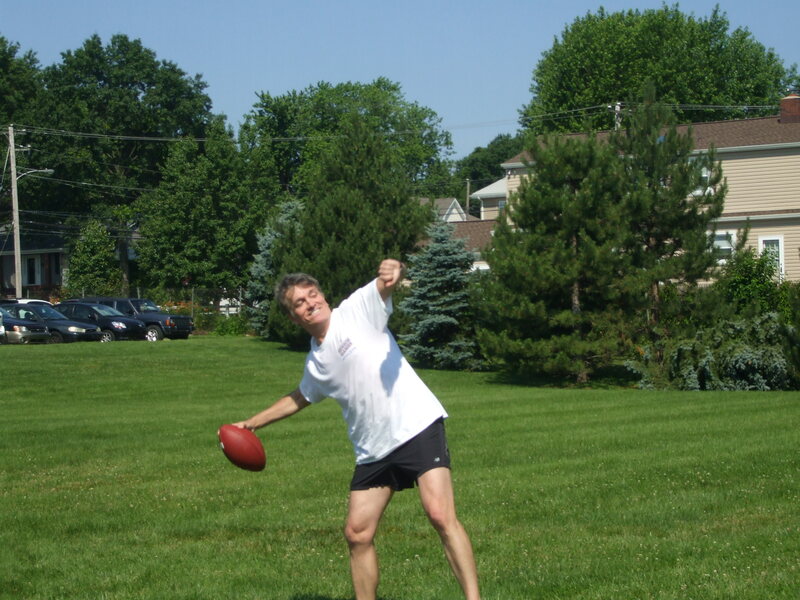 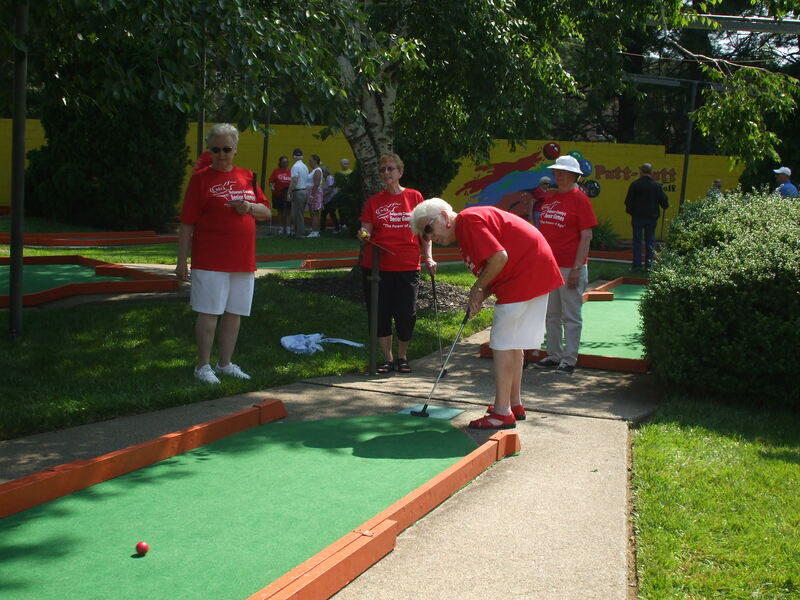 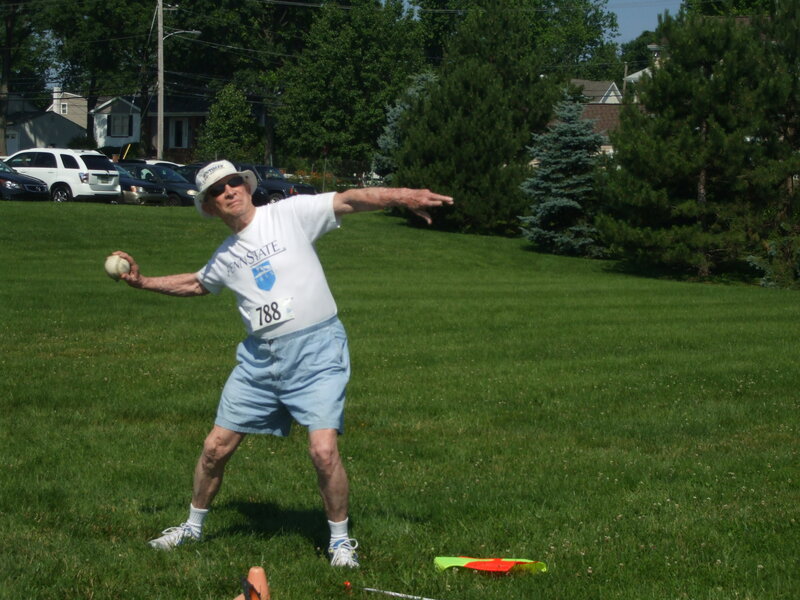 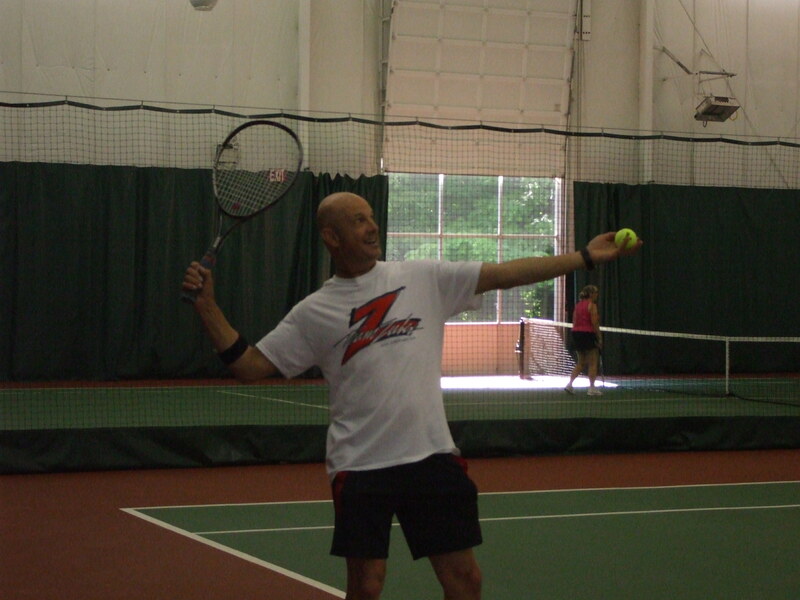 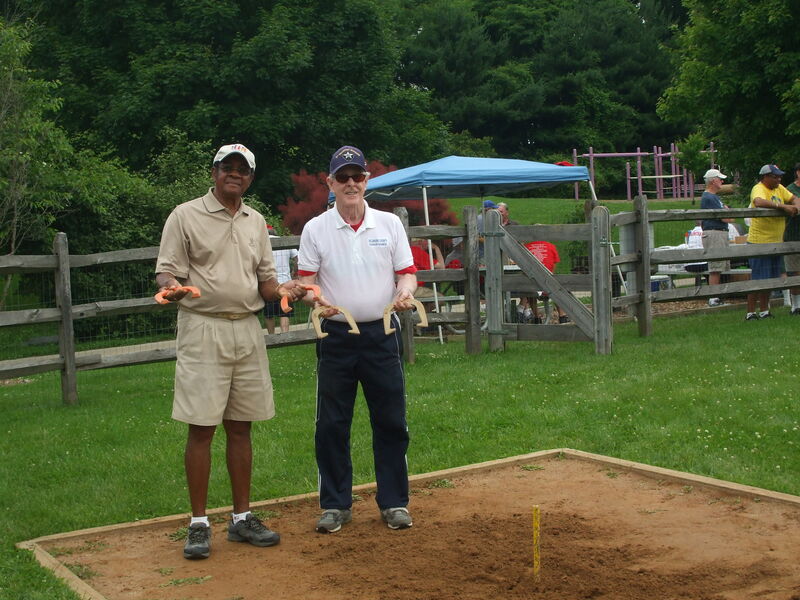 Delaware County Council invites residents ages 50 and older to compete and have fun in the 2013 Senior Games, June 10-21 at venues throughout the county. 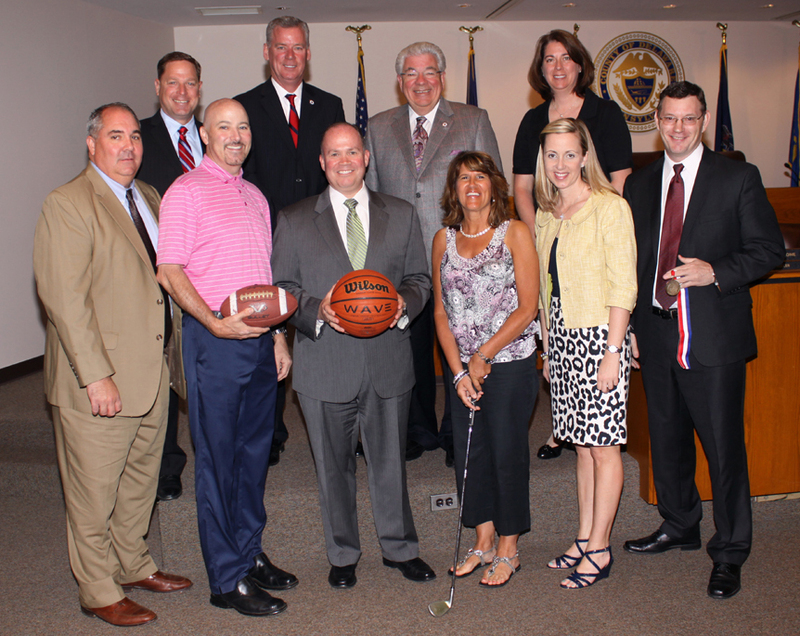 Council was joined by Senior Games sponsors in making the announcement. 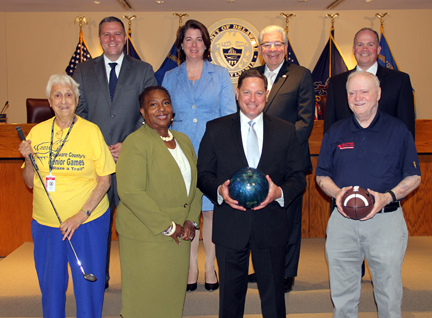 Shown, from left, are: Marc J. Manfre, Director of Parks and Recreation, Tom Carroll of Home Helpers Media, Councilman John P. McBlain, Cathy Willoughby of Home Helpers Drexel Hill, Marcy Schachinger of Home Helpers Media, Stephen Gamble, Deputy Director of the County Office of Services for the Aging (COSA), and back row, Councilman David J. 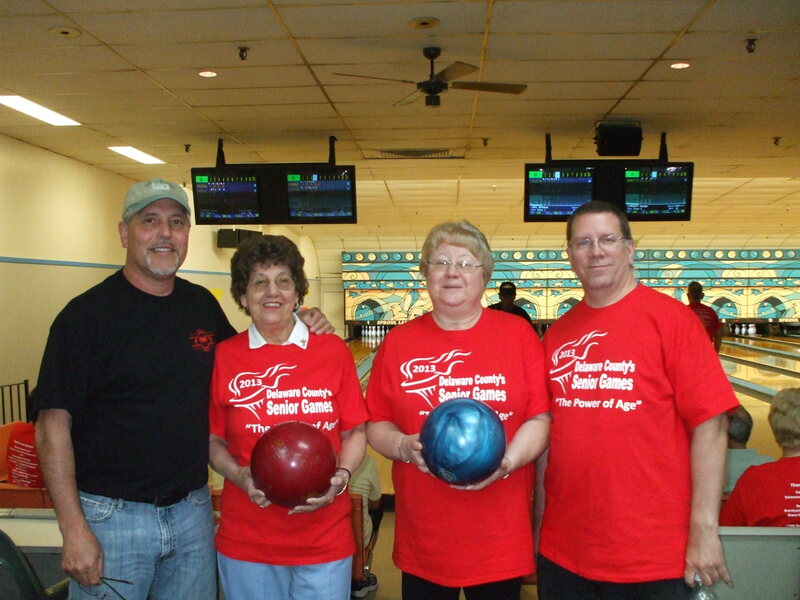 White, Chairman Tom McGarrigle, Vice Chairman Mario J. Civera Jr., Councilwoman Colleen P. Morrone. 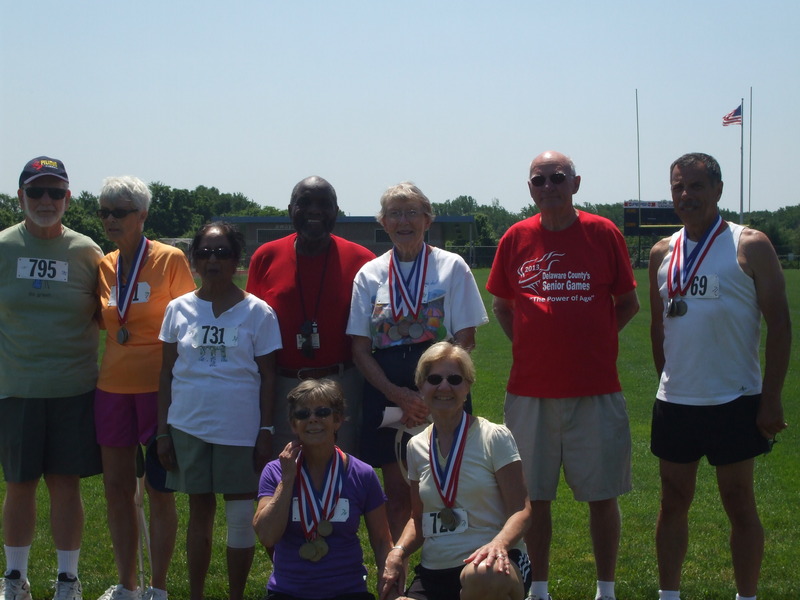 Senior Games Athletes Plan to "Go for the Gold"
Announcing the Senior Games are, front from left, Marc J. Manfre, Director of Parks and Recreation, Senior Games participant Preston Miller of Media, Councilman John P. McBlain, Senior Games participant Shirley Regina Ruger of Ridley Park, Stephen Gamble, Deputy Director of the County Office of Services for the Aging (COSA), and back row, Councilman David J. 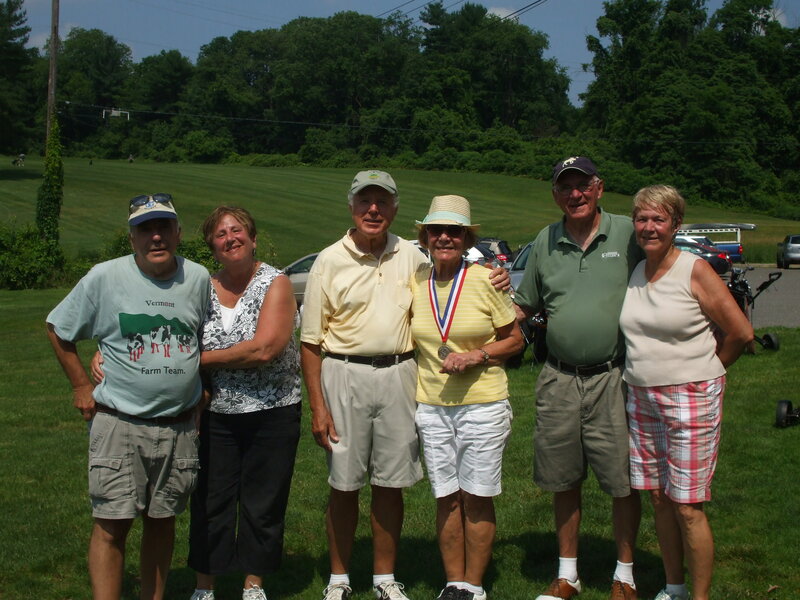 White, Chairman Tom McGarrigle, Vice Chairman Mario J. Civera Jr., Councilwoman Colleen P. Morrone.